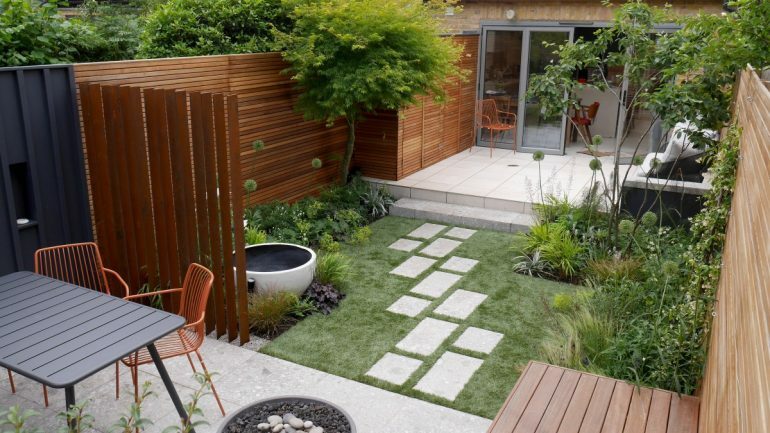 A contemporary garden that offers plenty of scope for entertaining, clever use of built-in storage and sculptural planting and is perfect for all year round garden parties. 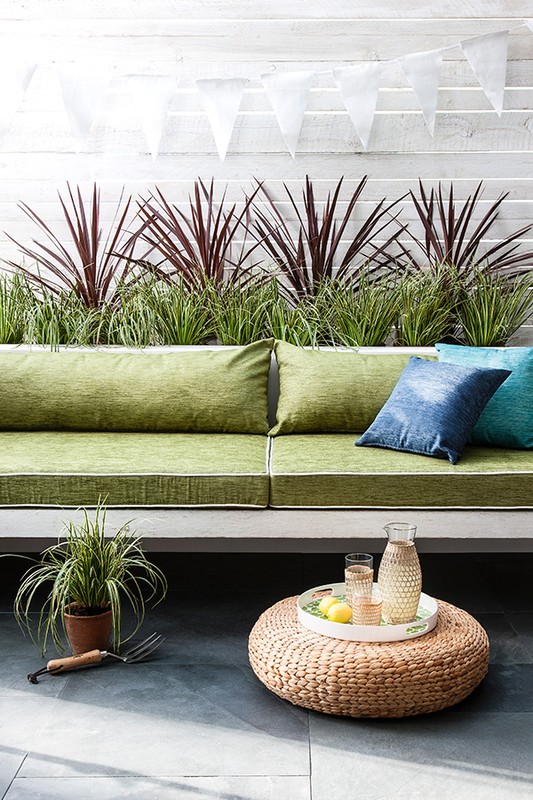 Despite the relatively small size this garden delivers on so many fronts, with its two terraces for entertaining guests, chilling in the sun on the bespoke bench/lounger, evening use in the warmth of the fire pit, eating al fresco behind the coreten screen that gives more definition and an interesting vertical accent. The water bowl is a permanent element in one of the borders, echoing the fire pit bowl and reflecting the rusty steel screen. The colour scheme is lush greens and warm coppery tones, cooled by contemporary greys and whites.